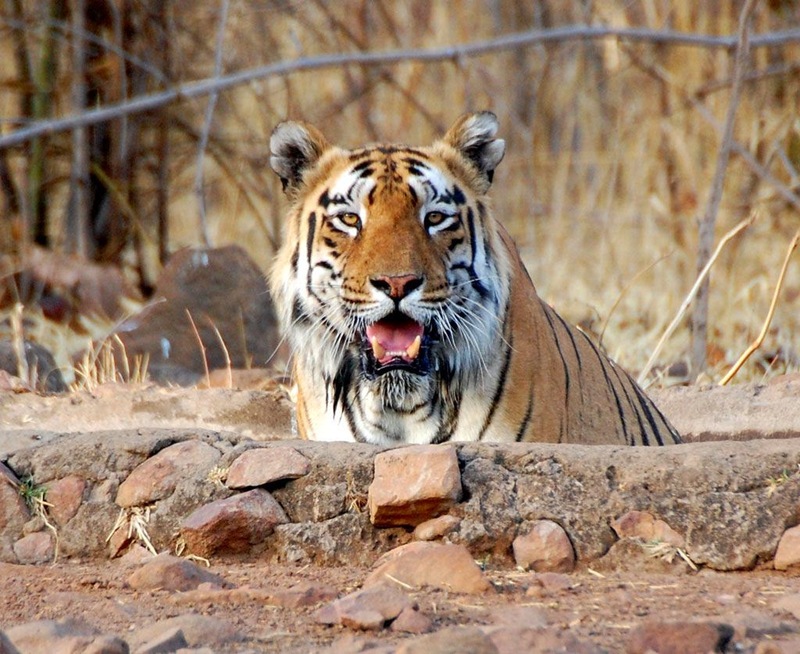 Tadoba Andhari Tiger Reserve (TATR) is one of the largest & oldest Tiger Reserves in Maharashtra. It is a southern dry deciduous forest with vast clusters of bamboo along with teak, saal, tendu, etc which form the habitat. The presence of multiple water bodies within the confines of the reserve attract different species of birds & animals during the peak summer season. Apart from the tiger, protection of which is the main objective of the reserve, one can see Indian leopards, sloth bears, gaur, nilgai, dhole, striped hyena, small Indian Civet, jungle cats, sambar, spotted deer, barking deer, chital, chausingha. The park is also home to a variety of reptiles, insects, butterflies, birds, etc., some of which are endangered species. Join us as we head out to explore this fascinating ecosystem. Depart from Mumbai at 20.15hrs by 12289 Nagpur Duronto. Arrive in Nagpur by 07.20hrs & transfer to MTDC Mohurli (4hr Drive) to freshen up. Post Lunch, we would head for our first safari of the trip. Note: If you prefer to fly, Tadoba can be accessed from Nagpur (120kms). Surface transfer from Nagpur Airport to Tadoba & back can be arranged.